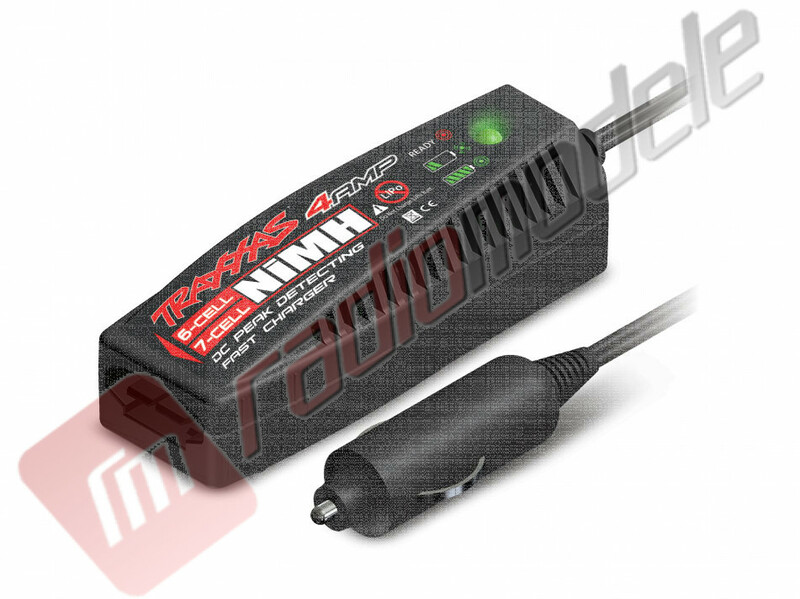 RC Shop ★ Masinuta telecomandata off-road TRAXXAS Rustler XL-5 RTR, radio 2.4GHz - TOTUL INCLUS!!! 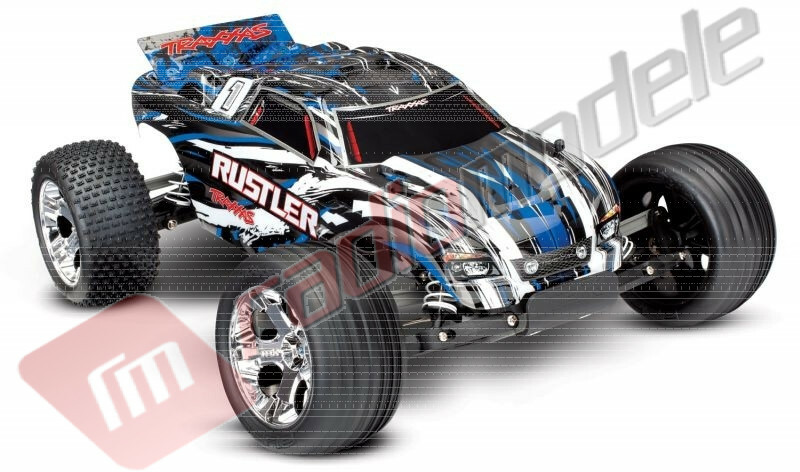 The best-selling Traxxas Rustler is a proven favorite with a formula for rugged fun that nothing else can touch. The Rustler blows the doors off the competition with more power, smoother control, better grip, and performance that makes it one of the fastest Ready-To-Race electric trucks available. The Rustler rips off-road with its powerful Titan 12-Turn modified 550 motor, XL-5 Electronic Speed Control, and Revo-spec Torque-Control slipper clutch. Its made for power-sliding, full-throttle, off-road action and aggressive driving fun. 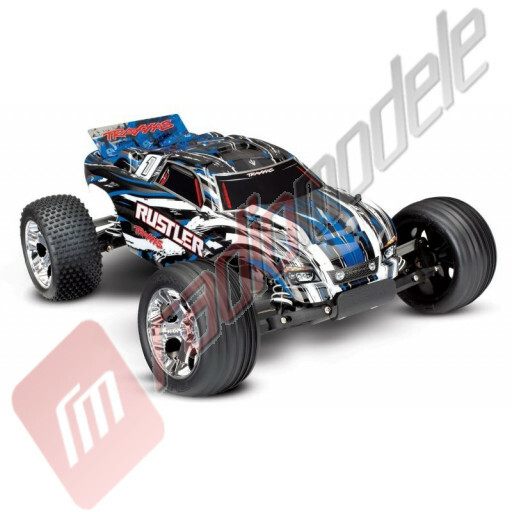 With a top speed of 35+mph*, Rustler simply leaves everything else back on the work bench. Este un automodel foarte bun pentru incepatori, mai ales ca majoritatea pieselor de schimb sunt in stoc. Am fost surprins sa constat cat de rezistenta este masina! Am cumparat masina si dat fiind faptul ca nu eram obisnuit cu asemenea viteza am rupt o fuzeta pe fata. Spre norocul meu problema s-a rezolvat in mai putin de o zi pentru ca am gasit piesa de schimb in stoc. 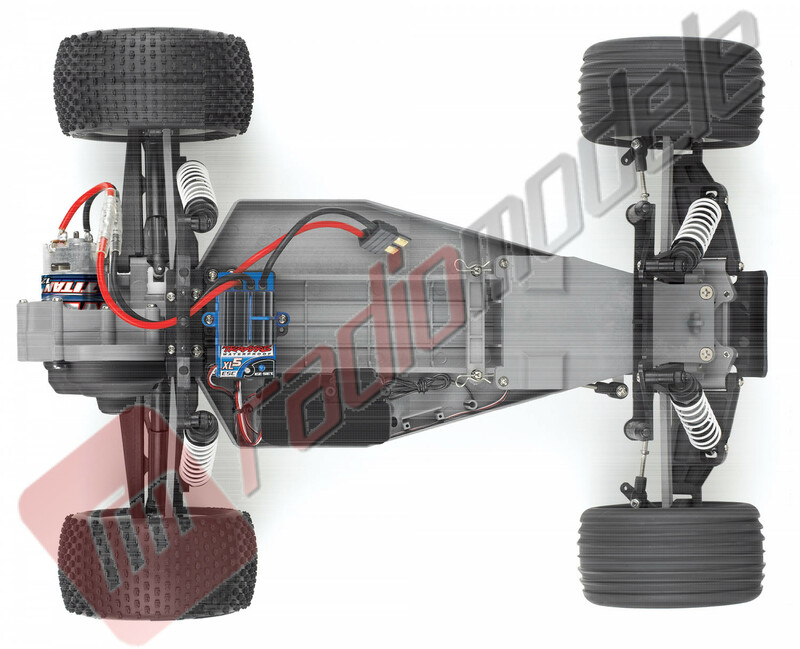 Automodel electric off-road TRAXXAS Rustler XL-5 - Telecomanda TQ 2,4 GHz, acumulator si incarcator la 12V incluse!. 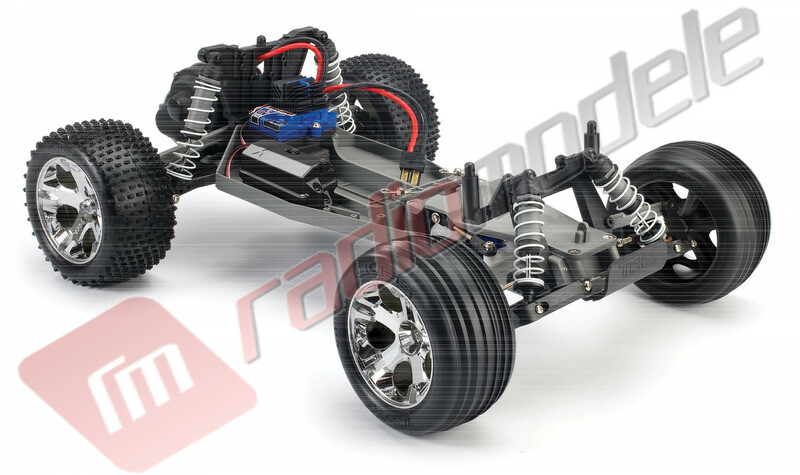 This Item: Automodel electric off-road TRAXXAS Rustler XL-5 - Telecomanda TQ 2,4 GHz, acumulator si incarcator la 12V incluse!